Most minerals that make up the Earth are anisotropic and yet the Earth’s interior is often discussed/described in term of isotropic parameters such as P- and S-wave speeds, and shear and bulk moduli. 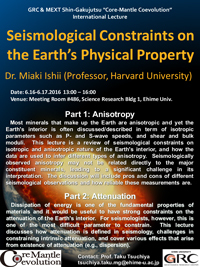 This lecture is a review of seismological constraints on isotropic and anisotropic nature of the Earth’s interior, and how the data are used to infer different types of anisotropy. Seismologically observed anisotropy may not be related directly to the major constituent minerals, leading to a significant challenge in its interpretation. The discussion will include pros and cons of different seismological observations and how reliable these measurements are. Dissipation of energy is one of the fundamental properties of materials and it would be useful to have strong constraints on the attenuation of the Earth’s interior. For seismologists, however, this is one of the most difficult parameter to constrain. 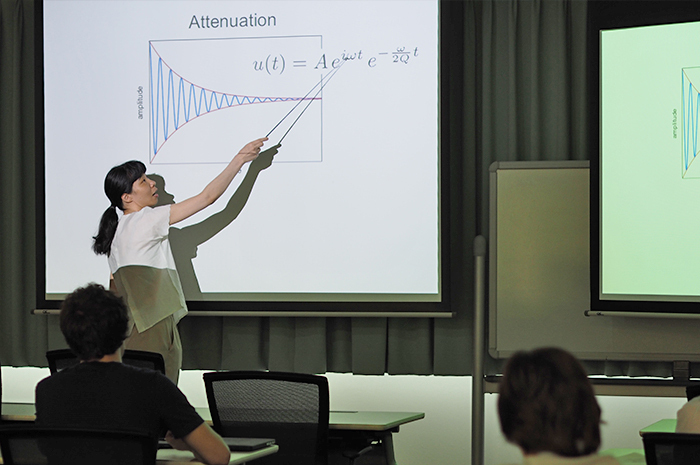 This lecture discusses how attenuation is defined in seismology, challenges in constraining intrinsic attenuation, and cover various effects that arise from existence of attenuation (e.g., dispersion). 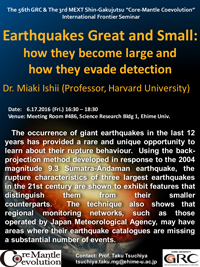 Date & Time: 2016/6/17(Fri) 4:30 p.m.
Abstract: The occurrence of giant earthquakes in the last 12 years has provided a rare and unique opportunity to learn about their rupture behaviour. Using the backprojection method developed in response to the 2004 magnitude 9.3 Sumatra-Andaman earthquake, the rupture characteristics of three largest earthquakes in the 21st century are shown to exhibit features that distinguish them from their smaller counterparts. 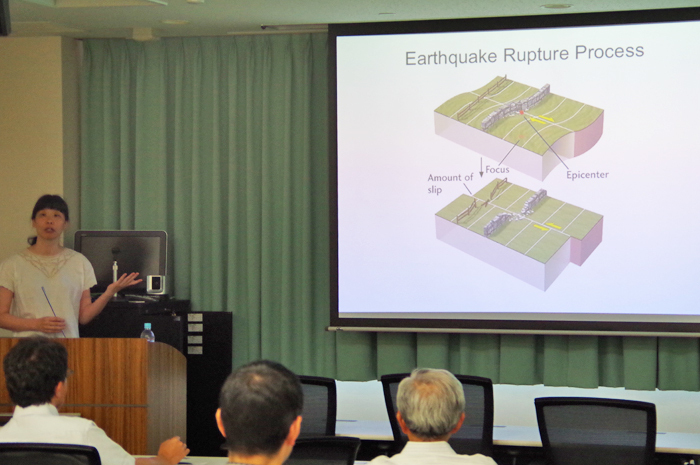 The technique also shows that regional monitoring networks, such as those operated by Japan Meteorological Agency, may have areas where their earthquake catalogues are missing a substantial number of events.